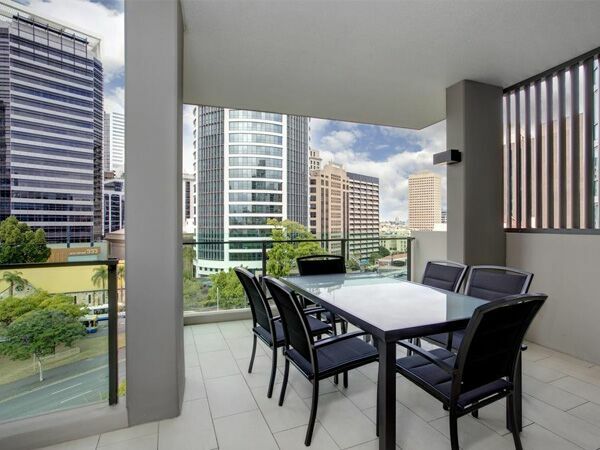 Enjoy an Urban View Apartment from your private balcony overlooking the nearby entertainment precincts of Spring Hill, Fortitude Valley and New Farm just minutes away. Our open-plan self-contained 2-Bedroom Apartments (110sqm) offer excellent value for business colleagues travelling together or for a family who requires extra space. 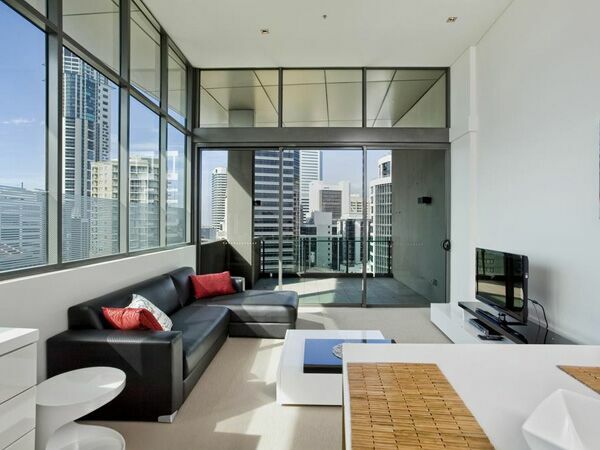 Spacious apartments offering views of the Brisbane city skyline looking towards key business districts on Queen Street, Eagle Street and George Street. Our open-plan self-contained 2-Bedroom City View Apartments (110sqm) offer excellent value for business colleagues travelling together or for a family who requires extra space. 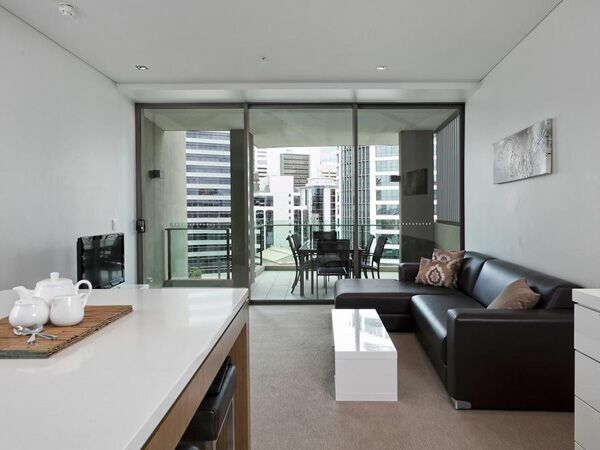 Penthouse apartments are located on the top floor of Quattro and offer unobstructed views of the Brisbane City Skyline, Moreton Bay, and Story Bridge and New Farm and surrounding areas. Our open-plan self-contained 2-Bedroom Penthouse Apartments (110sqm) offer excellent value for business colleagues travelling together or for a family who requires extra space.